We were visiting Oak Ridge National Laboratory (ORNL) yesterday and during a lunchtime discussion, the topic of the most recent reactor at ORNL came up. A little discussion ensued and we realized that, with its first criticality in June of 1965, the Molten-Salt Reactor Experiment (MSRE) was the second-youngest reactor (in terms of first criticality) on the ORNL site. If you consider the operation on U-233 fuel, and the MSRE was the first reactor anywhere to operate on U-233, then it would be the youngest! 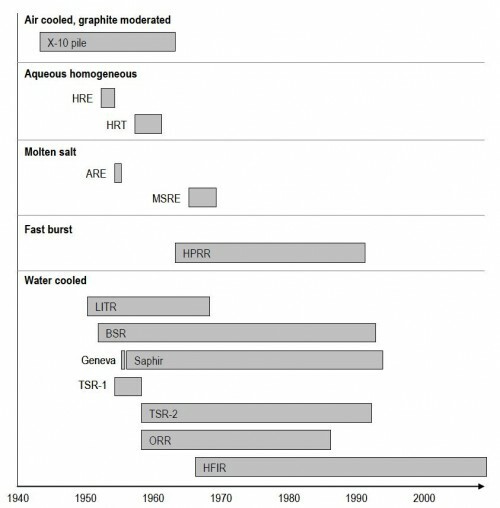 The first reactor on the ORNL site was the Manhattan-Project-era Graphite Reactor in 1943, and the last (to achieve criticality) was the High-Flux Isotope Reactor (HFIR). It is interesting that the majority of the reactors that achieved criticality at ORNL were brought on line while Alvin Weinberg was the ORNL director. 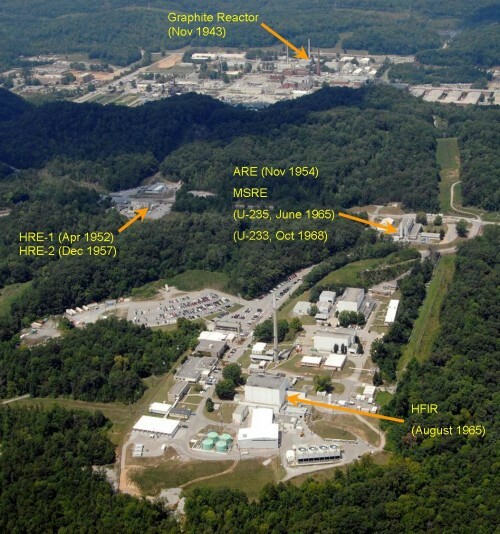 This realization was confirmed by reviewing ORNL-TM-2009-181: An Account of ORNL’s Thirteen Nuclear Reactors.